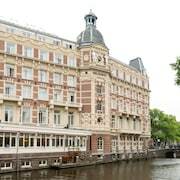 With a stay at Rembrandtplein Hotel, you'll be centrally located in Amsterdam, steps from Rembrandt House Museum and minutes from Stopera. 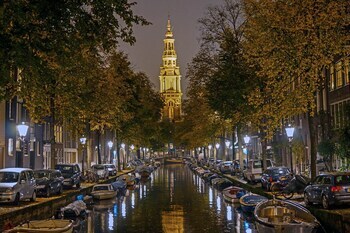 This hotel is within close proximity of Waterlooplein and Rembrandt Square. Make yourself at home in one of the 20 individually decorated guestrooms. Complimentary wireless Internet access is available to keep you connected. Satisfy your appetite at a coffee shop/cafÃ© serving guests of Rembrandtplein Hotel. Relax with a refreshing drink at one of the 2 bars/lounges.